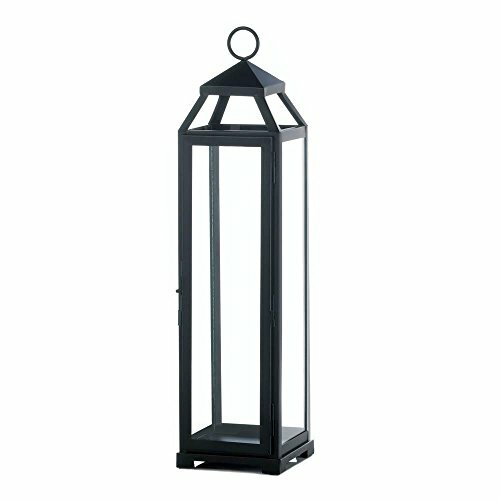 Your rooms style will meet dramatic heights when you show off your decorating sense with this amazing iron and glass candle lantern. It stands over 20 inches high and is ready to be filled with the candle or decorative accents of your choice. 5.5" x 5.3" x 20.8"